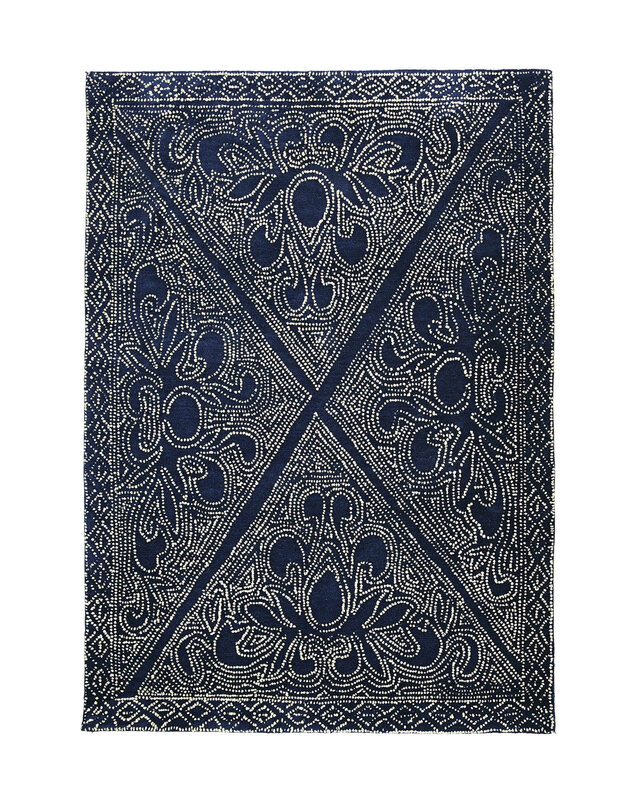 Mirabelle RugMirabelle Rug, Indigo alt="Mirabelle Rug, Indigo"
Print Batik-inspired and made entirely by hand, no two rugs are exactly alike. Artisans first tuft and cut the ground, then loop the white yarns through to create a popcorn effect. Slight striations in the dyeing process give it even more depth and dimension. 100% New Zealand wool with a cotton backing. 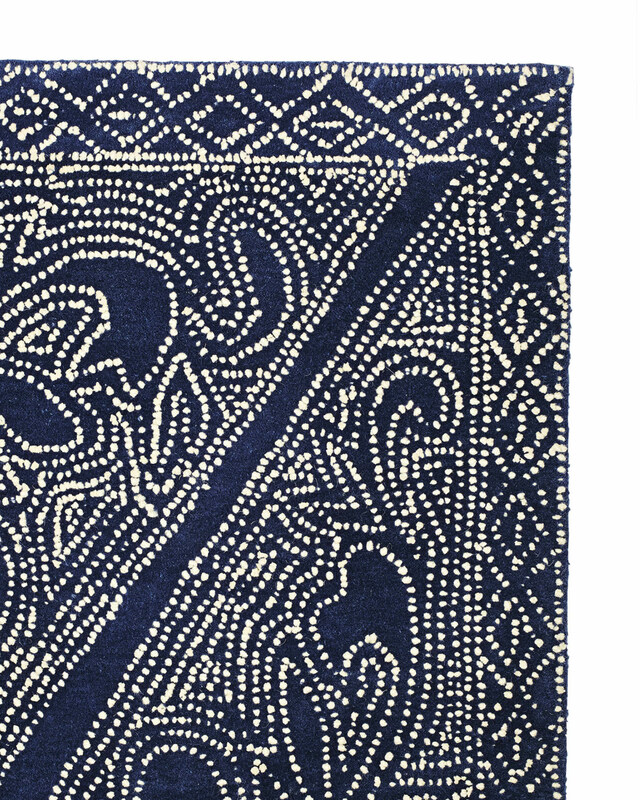 Double-tufted by hand in India. 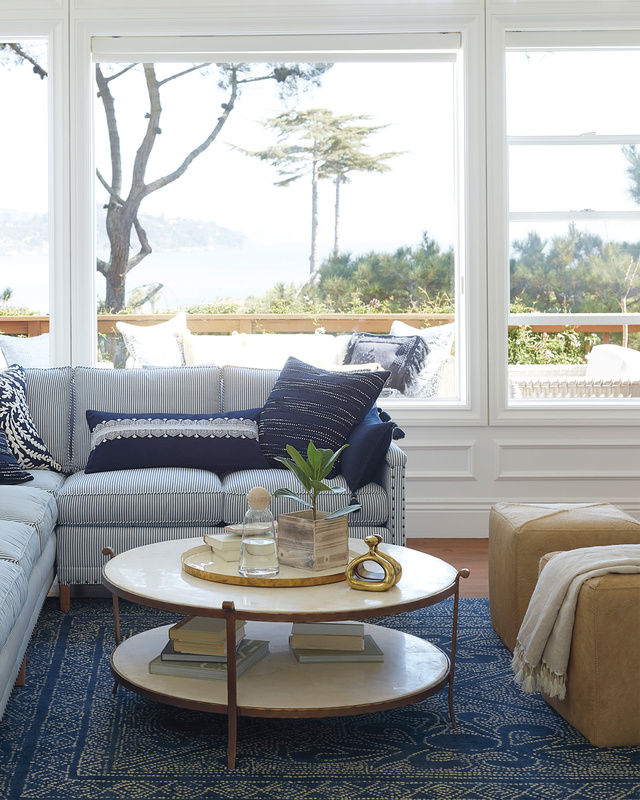 Due to its wonderfully hand-crafted nature, no two designs will look exactly alike. 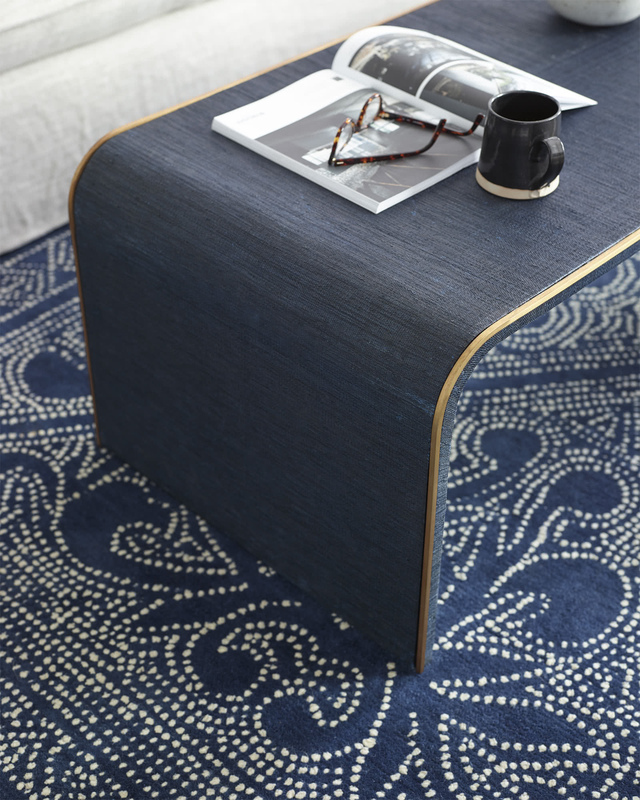 Pewter and Indigo ground have a contrasting Ivory pattern. Ivory ground has a Pewter pattern.